Yeah, terrorism is terrible, and we need to run Islamic State folks into prison, but the idea that a retweet is criminal, given the nature of how Twitter works, is kind of silly. It’s clear to me the Obama administration is just out of touch, as much as its FBI under James Comey is ridiculously power hungry. I know it’s been a while since we talked about it but Obama’s plan to regulate the Internet is coming. It’s a terrible plan and we’ve got to stop it. It’s not helping the Internet. After all, this same administration decided against search neutrality. Why pick winners and losers this way? I’ll leave you to guess why the thing Google didn’t want, didn’t get done, and the thing Google wanted, got done. So last week Comcast gave up on a free market deal under extreme government pressure. It’s the ongoing power grab by the Obama administration that Mike Wendy calls the Inter-nyet policy. Planned economy, one industry at a time. They tell me it’s a very good thing Obama did, threatening to send the hackers to the cornfield. Or at least to take their stuff. But I’m not sure in practice it’ll matter much since, you know, the attackers are abroad. We can’t even get Edward Snowden, but Russia can get into Obama’s servers. What good is Obama’s order going to do? He do have some conservatives in DC, and Louie Gohmert is pushing Obama’s FCC on Net Neutrality. He told Obama’s rubberstamp, Tom Wheeler, “You’re playing God with the Internet.” And he’s making great points on innovation. Innovation is the life blood of growth, and regulation kills it. By design. Previously at RedState we discussed how FTC is as out of control as FCC and we need a new breed of regulator to fix it. Well now it turns out FTC has the same transparency issues FCC has. FTC took secret testimony against Sysco in the US Foods situation. A Federal judge is now having to order them to release information. Unusual, except in the Obama era. 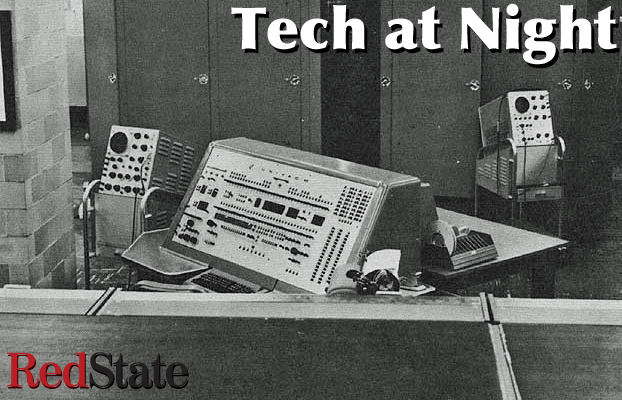 Tech at Night: Obama’s Internet regulation plan got everything wrong. Everything. The Heritage Foundation is one of the most important components of the conservative movement. They’re a true Think Tank, bringing together many smart people to speak intelligently on many issues. And I agree with Jim DeMint’s predecessor at Heritage, Ed Fuelner, when he says Net Neutrality “needs to be eradicated, not embraced. So Obama’s secret plan to regulate the Internet, the one that we weren’t allowed to see what was in it until it was passed, is finally out, and it’s anti-free speech, anti-innovation, and illegal. It was sold as one thing, but there’s a whole iceberg of problems beneath.